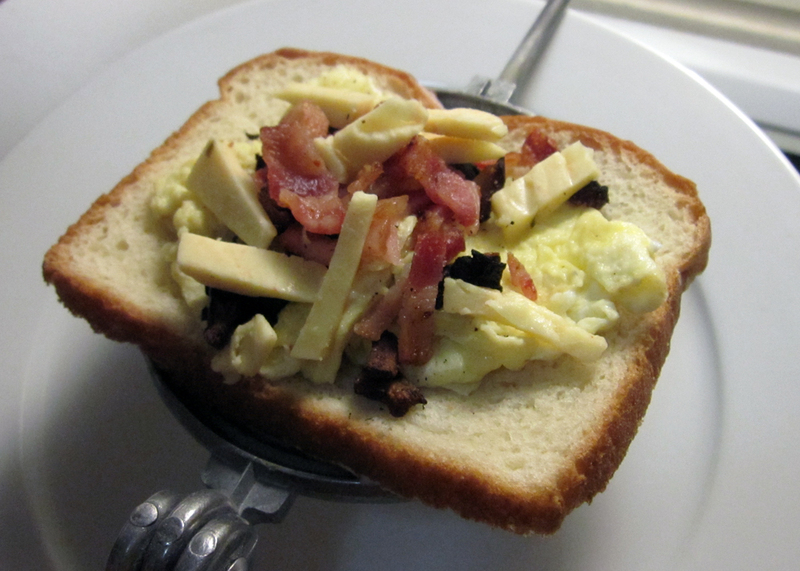 One of our fellow jaffle / toastie / pudgy-pie afficionados, Joe, from Australia wrote in with his favorite recipe. For the cheese, we used pepper jack just for a little extra kick and we ended up scrambling the egg first because sadly…it was our last egg that day and I somehow managed to break the yolk. 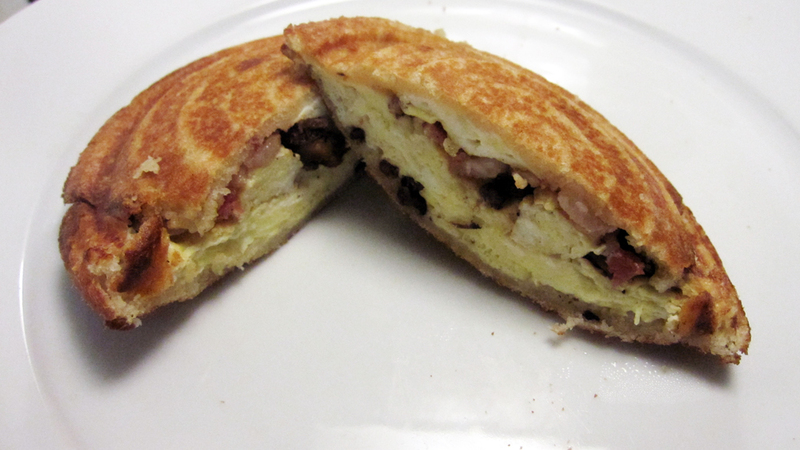 But next time we’ll definitely be cooking the egg whole inside the sandwich. Yum yum! thanks to you all for the recipe.